1 D None No Power Seat 1 D is an Economy Class Bulkhead seat that may have limited legroom due to the position of the bulkhead. The proximity to the galley and lavatory may be bothersome. The tray table is in the armrest, making the armrest immovable and slightly reducing seat width. There is no floor storage during takeoff and landing. 1 E None No Power Seat 1 E is an Economy Class Bulkhead seat that may have limited legroom due to the position of the bulkhead. The proximity to the galley and lavatory may be bothersome. The tray table is in the armrest, making the armrest immovable and slightly reducing seat width. There is no floor storage during takeoff and landing. 1 F None No Power Seat 1 F is an Economy Class Bulkhead seat that may have limited legroom due to the position of the bulkhead. The proximity to the galley and lavatory may be bothersome. The tray table is in the armrest, making the armrest immovable and slightly reducing seat width. There is no floor storage during takeoff and landing. 10 A None No Power Seat 10 A is an Economy Class Exit Row seat that has extra legroom since there is no seat directly in front of it. The tray table is in the armrest, making the armrests immovable and slightly reducing seat width. There is no floor storage for this seat during takeoff and landing. 10 D None No Power Seat 10 D is an Economy Class Exit Row seat that may have limited legroom due the flight attendant rear-facing jump seat positioned directly in front of this seat. Furthermore, during takeoff, landing, and turbulence, one of the flight attendants will be seating in the jump seat and you will share footroom. The tray table is in the armrest, making the armrests immovable and slightly reducing seat width. There is no floor storage for this seat during takeoff and landing. 10 E None No Power Seat 10 E is an Economy Class Exit Row seat that has extra legroom since there is no seat directly in front of it. The tray table is in the armrest, making the armrests immovable and slightly reducing seat width. There is no floor storage for this seat during takeoff and landing. 10 F None No Power Seat 10 F is an Economy Class Exit Row seat that has extra legroom since there is no seat directly in front of it. The tray table is in the armrest, making the armrests immovable and slightly reducing seat width. There is no floor storage for this seat during takeoff and landing. 2 A None No Power Seat 2 A is an Economy Class Bulkhead seat that may have limited legroom due to the position of the bulkhead. The proximity to the lavatory may be bothersome. The tray table is in the armrest, making the armrest immovable and slightly reducing seat width. There is no floor storage during takeoff and landing. 2 B None No Power Seat 2 B is an Economy Class Bulkhead seat that may have limited legroom due to the position of the bulkhead. The proximity to the lavatory may be bothersome. The tray table is in the armrest, making the armrest immovable and slightly reducing seat width. There is no floor storage during takeoff and landing. 2 C None No Power Seat 2 C is an Economy Class Bulkhead seat that may have extra legroom since the bulkhead may end at the beginning of the seat. The proximity to the lavatory and galley may be bothersome. The tray table is in the armrest, making the armrest immovable and slightly reducing seat width. There is no floor storage during takeoff and landing. 23 A None No Power Seat 23 A is an Economy Class seat that may have limited or no recline due to the exit row behind. 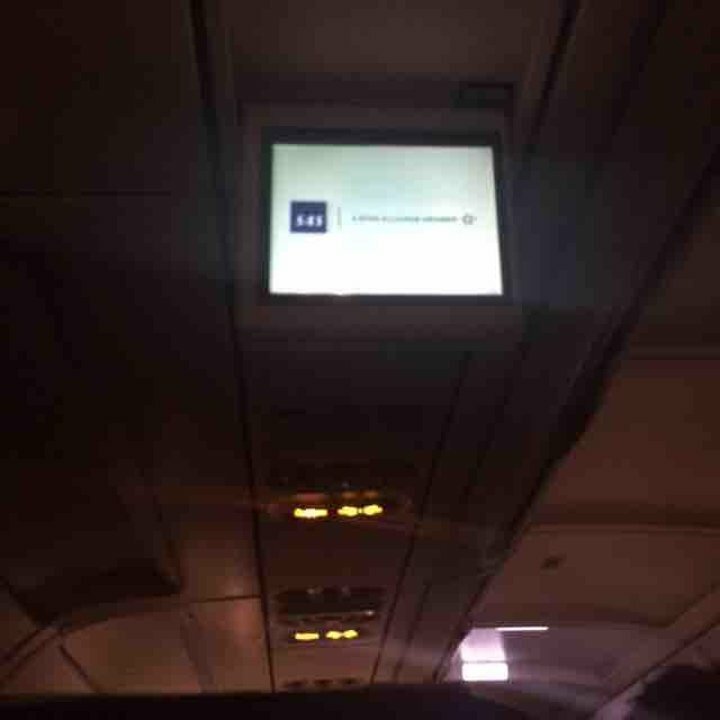 There is a misaligned window at this seat. 23 B None No Power Seat 23 B is an Economy Class seat that may have limited or no recline due to the exit row behind. 23 C None No Power Seat 23 C is an Economy Class seat that may have limited or no recline due to the exit row behind. 23 D None No Power Seat 23 D is an Economy Class seat that may have limited or no recline due to the exit row behind. 23 E None No Power Seat 23 E is an Economy Class seat that may have limited or no recline due to the exit row behind. 23 F None No Power Seat 23 F is an Economy Class seat that may have limited or no recline due to the exit row behind. There is a misaligned window at this seat. 24 B None No Power Seat 24 B is an Economy Class Exit Row seat that has extra legroom. The tray table is in the armrest, making the armrests immovable and slightly reducing seat width. There is no floor storage for this seat during takeoff and landing. 24 C None No Power Seat 24 C is an Economy Class Exit Row seat that has extra legroom. The tray table is in the armrest, making the armrests immovable and slightly reducing seat width. There is no floor storage for this seat during takeoff and landing. 24 E None No Power Seat 24 E is an Economy Class Exit Row seat that has extra legroom. The tray table is in the armrest, making the armrests immovable and slightly reducing seat width. There is no floor storage for this seat during takeoff and landing. 24 F None No Power Seat 24 F is an Economy Class Exit Row seat that has extra legroom. The tray table is in the armrest, making the armrests immovable and slightly reducing seat width. There is no floor storage for this seat during takeoff and landing. 25 A None No Power Seat 25 A is an Economy Class Exit Row seat that has extra legroom since there is no seat directly in front of it. The tray table is in the armrest, making the armrests immovable and slightly reducing seat width. There is no floor storage for this seat during takeoff and landing. 25 D None No Power Seat 25 D is an Economy Class Exit Row seat that may have extra legroom due the flight attendant rear-facing jump seat positioned in front of this seat. Furthermore, during takeoff, landing, and turbulence, one of the flight attendants will be seating in the jump seat and you will share footroom. The tray table is in the armrest, making the armrests immovable and slightly reducing seat width. There is no floor storage for this seat during takeoff and landing. 35 A None No Power Seat 35 A is an Economy Class seat located in the last row of the plane. This seat may have limited recline. The proximity to the lavatory and galley may be bothersome. Also, you will be among the last passengers to deplane upon arrival. 35 B None No Power Seat 35 B is an Economy Class seat located in the last row of the plane. This seat may have limited recline. The proximity to the lavatory and galley may be bothersome. Also, you will be among the last passengers to deplane upon arrival. 35 C None No Power Seat 35 C is an Economy Class seat located in the last row of the plane. This seat may have limited recline. The proximity to the lavatory and galley may be bothersome. Also, you will be among the last passengers to deplane upon arrival. 35 D None No Power Seat 35 D is a standard Economy Class seat. However, the proximity to the lavatory may be bothersome as passengers often congregate in this area. 36 D None No Power Seat 36 D is an Economy Class seat located in the last row of the plane. This seat may have limited recline. The proximity to the lavatory and galley may be bothersome. Also, you will be among the last passengers to deplane upon arrival. 36 E None No Power Seat 36 E is an Economy Class seat located in the last row of the plane. This seat may have limited recline. The proximity to the lavatory and galley may be bothersome. Also, you will be among the last passengers to deplane upon arrival. 36 F None No Power Seat 36 F is an Economy Class seat located in the last row of the plane. This seat may have limited recline. The proximity to the lavatory and galley may be bothersome. Also, you will be among the last passengers to deplane upon arrival. 8 A None No Power Seat 8 A is an Economy Class seat that is missing a window. Also, this seat may have limited recline due to the exit row behind. 8 B None No Power Seat 8 B is an Economy Class seat that may have limited recline due to the exit row behind. 8 C None No Power Seat 8 C is an Economy Class seat that may have limited recline due to the exit row behind. 8 D None No Power Seat 8 D is an Economy Class seat that may have limited recline due to the exit row behind. 8 E None No Power Seat 8 E is an Economy Class seat that may have limited recline due to the exit row behind. 8 F None No Power Seat 8 F is an Economy Class seat that is missing a window. Also, this seat may have limited recline due to the exit row behind. 9 B None No Power Seat 9 B is an Economy Class Exit Row seat that has extra legroom. However, this seat is missing a window. The tray table is in the armrest, making the armrests immovable and slightly reducing seat width. There is no floor storage for this seat during takeoff and landing. The two seats in this row are preferred by passengers traveling in couple since the absence of a third seat offers more privacy. 9 C None No Power Seat 9 C is an Economy Class Exit Row seat that has extra legroom. However, this seat is missing a window. The tray table is in the armrest, making the armrests immovable and slightly reducing seat width. There is no floor storage for this seat during takeoff and landing. The two seats in this row are preferred by passengers traveling in couple since the absence of a third seat offers more privacy. 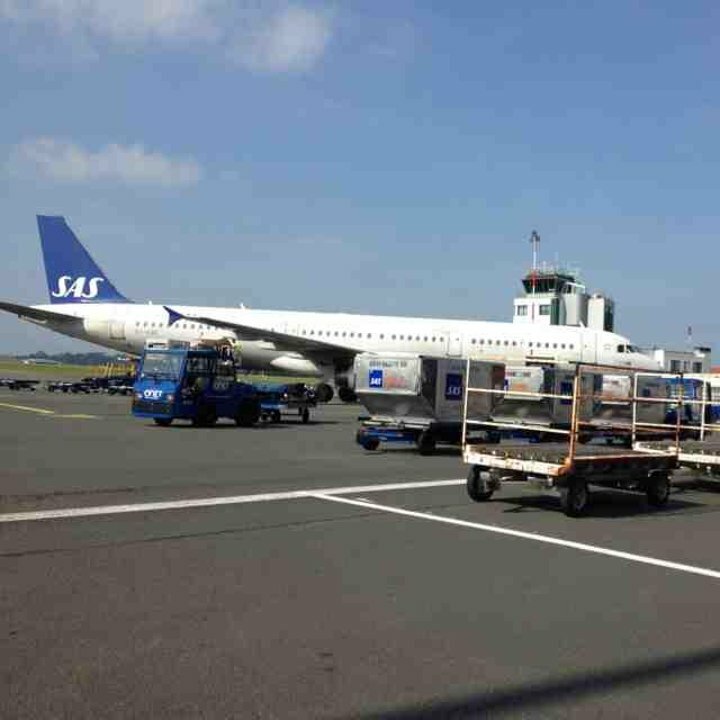 SAS operates the A321 on short-haul flights. This aircraft flies solely with 198 seats of Economy Class. Only one window, which is very difficult to see out of, because of its location. Due to exit row behind, the wall extrudes about 5 cm in, which makes this seat slightly out of line will all F seats, and the width reduction is distributed to all seats in this row. 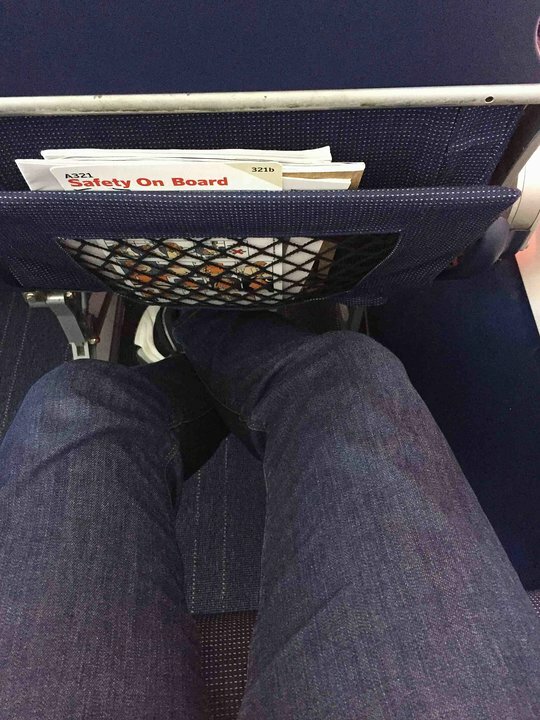 In addition, the legroom seems smaller than other rows in order to squeeze it in front of the emergency exit. Front toilet is the most spacious and it has big window! Window seat has no window and is shifted at an awkward angle not aligned with seat in front of it, making it an uncomortable alignment. Very spacious seat with app. 2 meter of leg room. A seat to go for. Very comfortable seating on short haul flight from CPH - ARN (1 hour). Would become uncomfortable if the flight was longer, however more than adequate for a short hop! Due to the exit row being behind, the bulkhead extrudes about 10cm in, the seat is narrower, no shoulder room to the left. 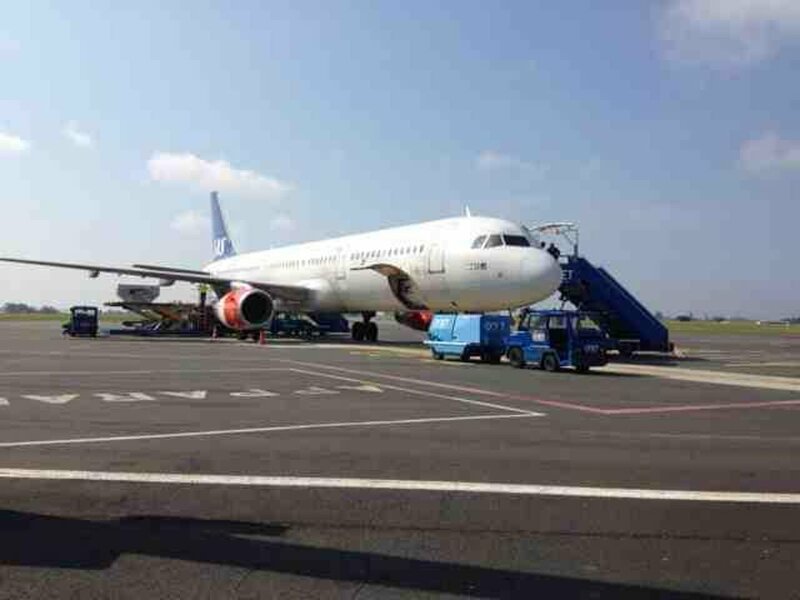 SAS flies 1 versions of Airbus A321.